Isn't this a fun block? It's called Tangled Geese and this was the block in my quilt Adventure . Since, I was using yardage for my block, I needed to approach this differently. Let's start by breaking down the block. For this tutorial, the block is 8 ½ '' unfinished, 8'' finished. It is composed of 4 smaller blocks, each measuring 4 ½" square. 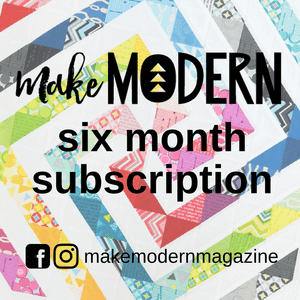 These blocks are further broken down into two pieces - a flying geese block and a rectangle with a stitch and flip corner. Each of these units is 2 ½ x 4 ½". I made the flying geese block using the no-waste method. You can find plenty of tutorials for this method online including my very own! For an unfinished size of 2 ½ x 4 ½", I start with a 5 ¼'' square of the primary fabric and four (4) square each 2 ½" of the background. Once trimed, this method will yield four (4) geese. For the each rectangle with a sittch and flip corner, you will need a background rectangle 2 ½ x 4 ½" and a primary color 2 ½" square. Draw a diagonal line across the wrong side of the primary color and sew just to the side of that line. Trim exceess. Each block requires two (2) flying geese blocks and two (2) stitch and flip rectangle blocks each of color A and color B. Color A: (1) 5 ¼ '' and (4) 2 ½"
Color B: (1) 5 ¼'' and (4) 2 ½"
Background: (8) 3'' and (8) 2 ½ x 4 ½". I worked hard not to have two identical blocks in the quilt. There are a few but I don't think anyone could actually find them! Finally, in my quilt, a single fat quarter - 18 x 22'' - yielded (5) 5 ¼'' squares and (20) 2 ½" squares. You could also use a layer cake 10'' square which would yield (1) 5 ¼ '' square and (4) 2 ½" with fabric to spare. Thanks for breaking down the block. That's definitely not how I saw it. Very interesting. 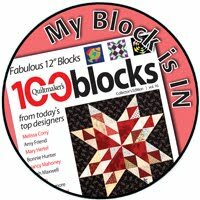 What a great block and tutorial...thanks, Patty! Great pattern. Love the Blueberry Park fabric. Excellent! No, perfect! And so sweet of you to share. I loved your quilt the first time I saw it. 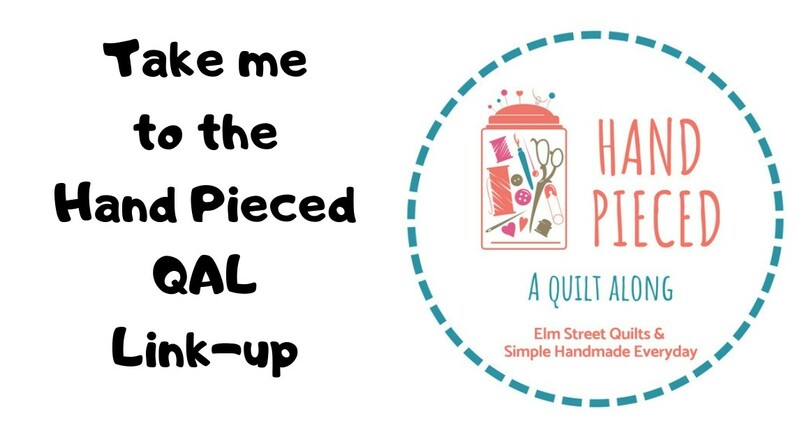 I'm heading south soon (too soon), but I am not only going to bookmark this tutorial, I'm going to make a note with a big star next to it in my notebook that's my brain, so when I finally get settled in Tx for the winter, I can revisit it! Thanks, Patty!